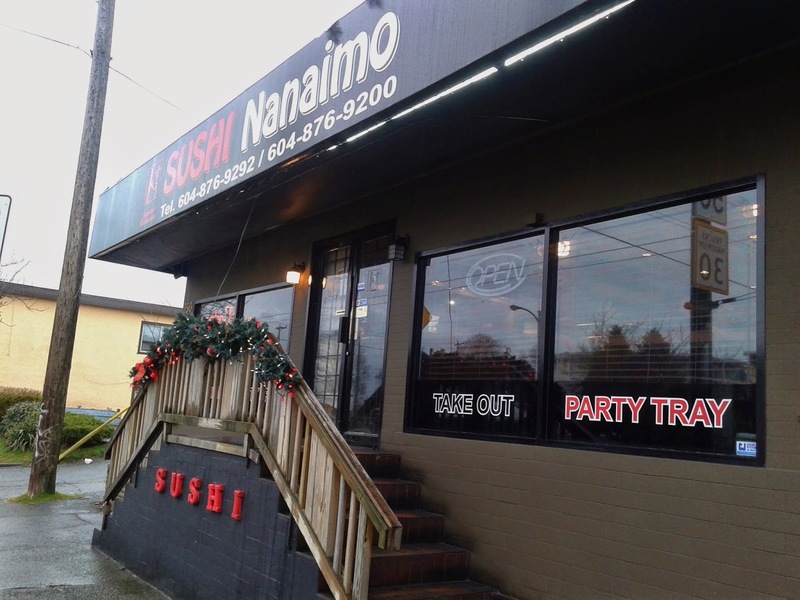 The last time I visited Sushi Nanaimo was nearly three years ago, and I wanted to see how it had evolved over the years. I remembered it to be pretty much an exact mirror of Sushi Town, but as I stepped into the restaurant and flipped open the menu, I could see that they had slightly revamped their menu to include items such as the Nanaimo Roll among other things. The restaurant is moderately large and the seating space is more spacious and comfortable compared to Sushi Town. I stepped in at 3 p.m. to find the restaurant mostly empty, but they can get quite busy during peak hours. I wanted to ask the waitress about the Nanaimo Roll, but when I did, she listed the ingredients in rapid fire and the only word I heard was "spicy." I didn't want to make the waitress feel bad so I politely pretended that I heard everything. Furthermore, I wasn't exactly craving spicy food, so I decided to play things safe with the Dragon Roll. I've had enough Dragon Rolls to more or less know what to expect. 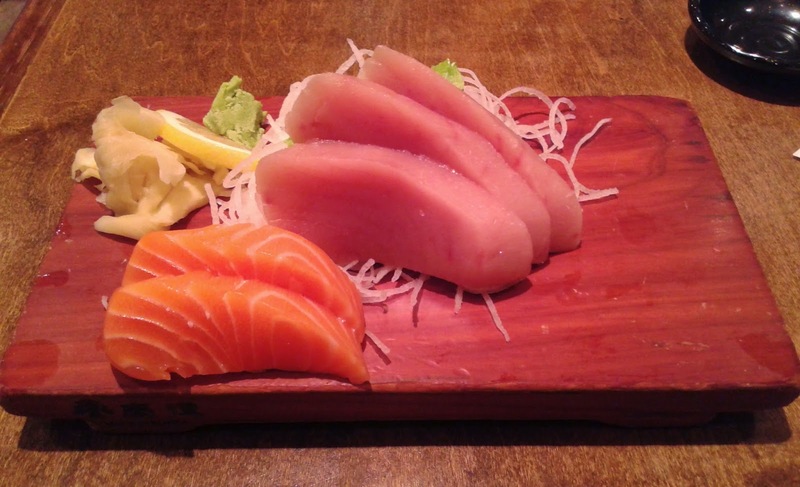 My dishes arrived very quickly and the first item to arrive was my half order of Salmon and Tuna Sashimi (half order: $5.95). The Salmon Sashimi was fresh and had a good amount of flavour to it. Interestingly, it was segmented along the white lines like toro. The Tuna Sashimi was moderately soft and a touch salty. It could also use a few more minutes of thawing time, but it was neatly cut. 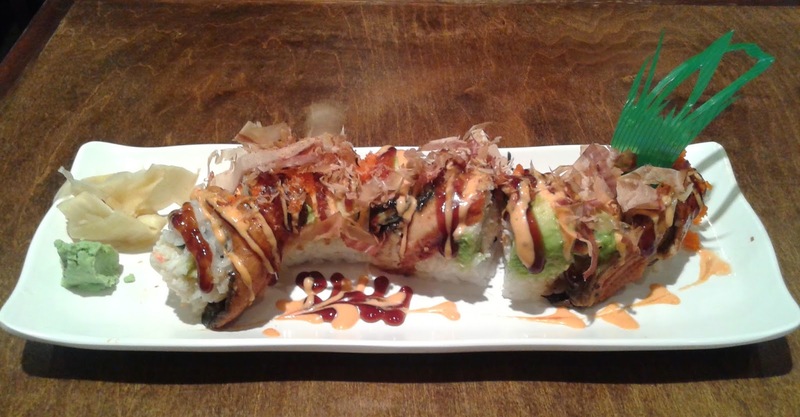 The Dragon Roll consisted of unagi, avocado, masago, bonito flakes, crab meat, and cucumber, along with teriyaki sauce and mayonnaise. The unagi had a smooth texture and a savoury grilled flavour. I also liked the mild spicy tinge coming from the sauces. There was a slight overage of rice and the sauces were a bit thick, but the roll was presented neatly and the flavours worked well together. 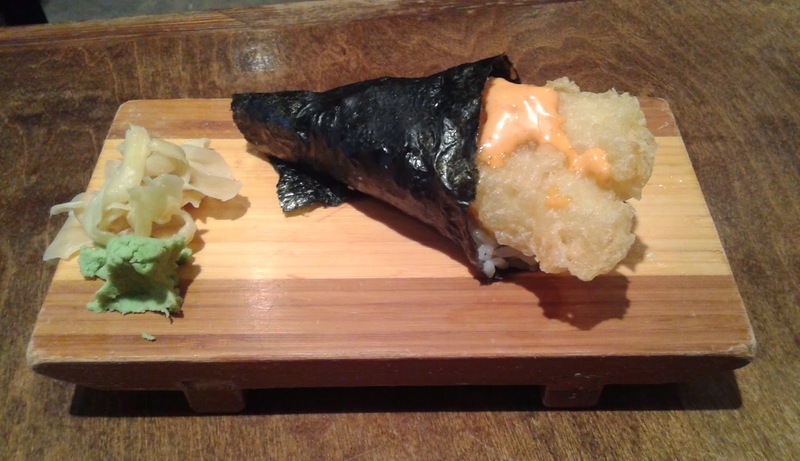 The Dynamite Cone came with two battered prawns and mixed with the mayonnaise, it reminded me of a Filet-o-fish. The batter was light and crispy, while the vinegar in the rice was quite evident. The bottom of the cone was compressed too tightly, making it a challenge to chew. 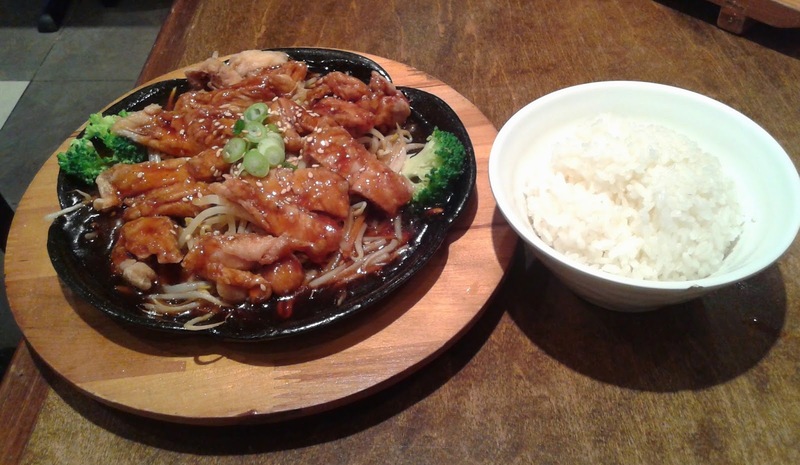 For my filler dish, I got the Chicken Teriyaki and it came neatly plated on an iron dish. The sesame seeds accentuated the flavours of the chicken, which was pan-fried to a nice, crispy texture. The chicken wasn't the most tender, but it wasn't hard to chew either. There was quite a bit of teriyaki sauce on the bottom, but it didn't reach high enough to make the chicken soggy.